"Isabelle Thornton" Le Chateau des Fleurs: Avatar, the last air bender party! Avatar, the last air bender party! 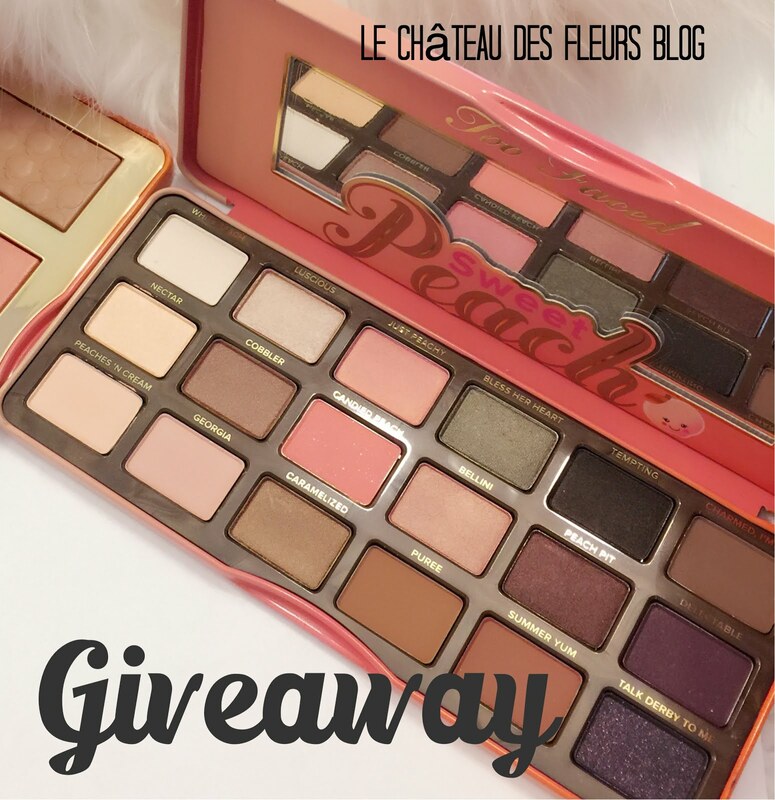 FRENCH OBSESSION PARTY AND GIVE AWAY AUGUST 1ST! Yep, kid walking on counter = Icing on the feet! I added some blue food coloring to the white icing and piped it to look like water... My goal was to have the elements of Earth/rocks. My Fairy was quite tired...She fell asleep in the theater. We saw Avatar the last airbender movie. If you could bend an Element which one? For me it would be water! What a wonderful family outing.. that cake is just amazing!!! Amazing cake! Have a wonderful weekend. thanks for following us, we are now following you back. Loved the movie. I wish I could bend Earth. Came over here from Sassy Sites, and I love your style! Happy to be following you now. Love it if you'd visit me over in the World of ShadowCasing! Frenchy, that cake is amazing!! So creative : ) My favorite part was the "water" icing. I used to decorate cakes at a local bakery and I LOVED it. I always think about how much fun it used to be. Please stop by www.styleingenuity.com! I have a special award for you! That cake is so beautiful! Oh, this cake is fantastic even if you didn't see the movie. However did you create the frosting to look like that. What tip did you use. I can tell I would like a slice since I am a frosting lover - 2 parts frosting to one part cake. So glad I hopped on over. This would be a fabulous boy's birthday cake this year. "The Cake Boss" would LOVE you!!! I saw this a few weeks ago. I do not have kids and have never seen the cartoons but my best friend was in town with her boys so I went with them to kill a rainy day. I thought for a 3D movie they didnt really do much cool 3D stuff...I was comparing it to Avatar ther other movie that rocked! Over all it was a cute movie and a good way to spend an afternoon but I wouldnt see it again. YOU ROCK! LUV LUV LUV the cake!!!!!! I am not an avatar fan, but the movie looks pretty good from what I've seen in the commercials:) Looks like the FAM had a great night out! I think i lost my small one in the move...Yicks! Very well done! I love decorating birthday cakes for my little grandsons. I know this would be a hit. Thanks for sharing your ideas. Coming back to say I just signed up to follow you. I can see you have a lot to share. GREAT looking cake! You are the Party Queen! :-) My kids would die for those kind of cakes. Hi, and thanks for stopping by my blog! Following you back! love the blog and your family is beautiful. thanks for stopping by my blog. Oh my - that cake looks amazing! Love that you used sparklers. Thanks so much for stopping by! Beautiful cake, once again. I love Fairy's new outfit. Your families blue eyes are so beautiful. I think that pulled white cotton candy might work for air if you ever do something like this again! What a beautiful blog you have!! Thank you so much for stopping by The House on the Corner! I've just become your newest follower! Your family is adorable! My kids love Avatar the Last Airbender, too. They watch all the TV shows and had to see the movie. They LOVED it! How fun!!! Looks like a great time. Your cake is super cute!!! what a cutie she is. thanks for stopping by. I'm following back. Hi Frenchy, I am visiting my followers this week. What a great family. Beautiful cake. Have a great weekend. You are amazingly creative! That cake is awesome (I hope it tasted as good as it looks)! Frenchy...yes...you have done it again....that cake is utterly fabulous. And it looks delicious to boot. Now don't forget about your naturalization on MONDAY? Right? You do such wonderful outings as a family...it is so very encouraging. Thank you. Great cake! And a wonderful reunion! Hey there! Thanks for visiting and following my blog! I'm followin' ya right back! Do come back often, I look forward to seeing your sweet face again! That cake is SO COOL! Great job! Thanks for stopping by my blog! I'm following yours now! That is the coolest. cake. ever. I heard mixed reviews about the movie, I think I'm going to wait until it comes to my university so I can watch it for free! The cake is gorgeous!! I'm your newest follower and so glad I found your blog. come visit mine sometime! How fun! Wow on the cake!!! What a fun time...and the cake is really cool. I forgot that was coming out. I hope we can go see it soon. Great photos! DK Spins...I did not know...This new series sound like fun! Thank you for the compliments. HAppy you liked the party! Wonderful family fun. I haven't seen the movie yet. It's on the list! How cute, lovely mosaic. I am hosting a CSN Giveaway and would love for you to stop by. I would bend the wind and make it blow cool breezes always. What a great looking cake! Love it!! What a fabulous cake! You're so creative. Love the pics. You're daughter is absolutely adorable in that Chinese outfit! You have an amazingly gorgeous family and an amazing house! I love the mountains. Where in Utah do you live? She is a cutie. Lovely photos. Oops.... I completely forgot what I intended to post about first, which is agreement with everyone else that this cake is amazing! amazing! fun family. I am following you now. FOllow me? Very cute! I think you did a great job making the icing look fluid and like it was moving water! Impressive! The rocks look real and the water is wonderful. Really a great job overall. What a wonderful cake!! We love the last airbender in our house, too. Bets...I agree..The glider could be the sign for air. Ahhh...your little "air bender" is absolutely darling in her new outfit! How sweet of Dad to bring it home for her! Well my friend, I just love all of your creative ideas for cake baking and decorating...you're sooo good at it! I haven't seen The Last Air Bender movie but have been seeing it advertised. I think you did a fabulous job with the cake...love, love, LOVE how you did the water! It looks very real! And...I love the rock candies as well! Bet you're little one really loved the cake! It looks like your family had a great time at the movies! Thank you for sharing this sweet post with us today for Sunday Favorites!!! Have a super Sunday, my friend! Seriously, an awesome, awesome cake. Wow! What a fantastic cake! You did a great job! Thanks for joining me for Friday Favorites! Awesome party, cake, and what a cute kid! Thanks for sharing at It's Party Time Thursday at PonyTails&FishScales! What a cute outfit your husband brought back for your little fairy. Yikes! She looks like your husband cloned her. Smiles. Great looking cake too. Hope the family enjoys the weekend. Great cake - what fun! Thanks for linking to Tickled Pink a couple weeks ago...I took a little (unexpected break) but I am back! That is so fantastic! 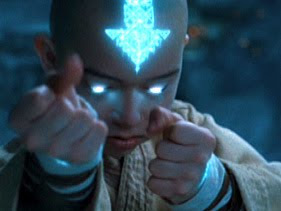 My stepson loves the air bender! He would die for this cake!